According to an economist with Moody’s Analytics, the new health care law is set to negatively impact hiring in 2013; this is based on what human resource firms are saying, anyways. They are predicting that some businesses are going to be taking on more part-time employees rather than hiring full-time employees, in addition to reducing the hours for permanent employees. The reason is the Patient Protection and Affordable Care Act (PPACA). Under PPACA, businesses that have 50 or more full time employees must provide health insurance to employees who work at least 30 hours a week. If employers fail to offer health insurance, they will face a penalty of $2,000 for every worker in excess of the first 30. This mandate for employers does not take effect until January 1, 2014. However, in order to determine whether employees average enough hours to qualify for benefits, employers have to track their work schedules for at least three months and up to 12 months before 2014. As a result, employers are already starting to restructure their payrolls and will continue to do so into 2014. Approximately 25 percent of businesses do not provide health insurance to employees who work at least 30 hours per week, according to a consulting firm study. The survey further revealed that 50 percent of those businesses intend to make necessary changes so that fewer employees will meet the 30 hour threshold provided by PPACA. The companies intending to grow that have 40 to 45 employees are most affected, since they are apprehensive about crossing over the 50 employee threshold. For example, a Melville advertising group with 45 employees had intended to hire another 10 but will no longer do so to stay under the limit. Others simply intend to have more part-time employees that they do not need to offer health coverage to. Employers who have a large number of part-time or low-wage employees will especially be burdened. Under the PPACA, employees are supposed to pay no more than 9.5 percent of their wages for health insurance premiums, causing employers to be forced to contribute more for low-wage employees than those who are higher paid. According to the International Franchise Association, 31 percent of all franchisees surveyed intend to reduce their number of employees to get below the magic 50 employee threshold. Additionally, employers have indicated that they plan to reduce the work schedule of employees to get below the 30 hour per week requirement. 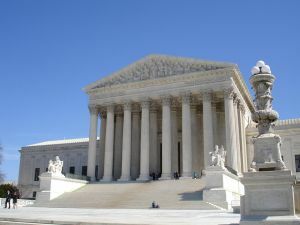 The constitutionality of the Patient Protection and Affordable Care Act (PPACA) was upheld by the United States Supreme Court on June 28, 2012. This complex act is focused on reducing the number of people who do not have health care. Contained in it are numerous mandates, subsidies and tax credits which employers need to be educated about. If you are a small to medium sized business owner who has questions about the PPACA and the litany of thresholds that may affect future expansion plans, you need to seek advice from a Georgia attorney experienced in health care law. Kevin S. Little, P.C. is an Augusta, Georgia attorney who works with physicians, dentists and other small to medium sized business owners in the health care field. He has two decades of experience and can assist you in meeting the challenges you are facing under the Affordable Care Act. Contact us at (404) 685-1662 to schedule your confidential, no obligation consultation.